According to Equal Employment Opportunity Commission (EEOC) guidelines, a qualified person applying for a job cannot be denied employment based solely on their age. Tayeb Hyderally is an expert in employment law NJ who diligently represents cases where employment laws have been violated. He is also dedicated to help employees and employers become aware of various applicable employment laws. Ty Hyderally speaks to different types of groups to help inform individuals of their rights and responsibilities regarding employment laws. Texas Roadhouse is currently involved in a case where there has allegedly been repeated age discrimination in their hiring policies. Because of increased claims citing age discrimination the EEOC filed a suit against Texas Roadhouse. The restaurant chain is accused of discriminating against job applicants because of their age. The EEOC stated in a press release that there had been a significant increase in complaints since 2007. Upon investigating the allegations, the EEOC pursued the lawsuit. The Age Discrimination in Employment Act (ADEA) is a federal statute which protects employees who are 40 years old or above from discriminatory practices based solely on their age. According to the ADEA guidelines, it is prohibited to favor a person who is younger over an older person (40 years old or older) based only on their age. These regulations include hiring, promotions, job duties, assignments, layoff, benefits and firing. It also prohibits any type of harassment based on the age of the employee, specifically for individuals who are 40 years of age or older. This is built to include offensive statements or comments about the individual’s age. However, this type of conduct has to be a part of the work place becoming a “hostile work environment” before the law applies. It can be applied to any supervisor or a co-worker. If a client or customer makes derogatory remarks the company can be held liable, if the employer does not at least attempt to make reasonable effort to prevent the harassment. The law also states that policies cannot be put in place that have a negative impact on workers aged 40 or above. Many applicants believe they have been denied employment at Texas Roadhouse based solely on their age. These instances are also cited at various locations of the restaurant chain, and are not isolated to only a single location. The EEOC tried to reach a pre-litigation settlement according to its conciliation process. The intent is to obtain monetary amounts for those applicants who were not hired based on their age. The second part of the EEOC’s case is to help the restaurant change its hiring policies and training so that age discrimination does not occur in future hiring practices. The Age Discrimination in Employment Act of 1967 (ADEA) requires that businesses make no distinction among employee’s pay based on their ages. They cannot be paid less due to their age as long as they are performing their jobs effectively; they must be paid the same as younger counterparts. Ty Hyderally is an expert in employment law who works diligently to inform employees and employers of their rights and responsibilities concerning employment law NJ, including ADEA guidelines. Individuals can file against corporations, as can groups. However, just because the complaint arises from an affected group, is no guarantee that the courts will act on their behalf; or agree that a disparity has taken place. This is the case with Smith v. City of Jackson, Miss. A group of police department employees which included Azel Smith sued the city of Jackson, Mississippi and their police department. The city’s police department in an attempt to make their pay scale competitive with surrounding departments gave officers raises. Officers who worked for the department for less than 5 years were given larger pay raises than employees who had over 5 years of tenure. Since many of those with more than 5 years of tenure were over the age of 40, the group sued the city alleging that the salary changes was in violation of the Age Discrimination in Employment Act. The Fifth Circuit dismissed the claim because they said it was not a violation of ADEA. Upon appeal the Supreme Court upheld this dismissal. One reason for this dismissal was the particular wording of the language used in the ADEA. 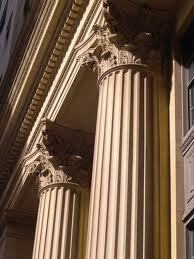 Another cause for the dismissal of their claim was the history of legislative rulings and statutes. The court recognized that these types of disparate impact claims can indeed be classified under the ADEA, however, the group (Smith) failed to be able to prove their claim. The group of officers could not isolate a specific practice carried out by the department that would prove the disparities according to statistical analysis. The officers stated that the pay plan that was put in place was not as generous to older officers and therefore had an impact on the age group. The group failed to prove that the raises were made on solely on the basis of age. The city was trying to ensure that the police department offered salaries that were competitive with other communities in the area. Since the pay scale was not based at all on an employee’s age there was no act of discrimination to be found. To prove a case of age discrimination it is very important to be able to statistically show that the disparities occurred solely based on age. The group of officers could not do this in this case and the dismissal was upheld. The Federal law that protects individuals who are 40 years old or older is called the Age Discrimination in Employment Act, or ADEA. The intent of the age discrimination law is to protect employers from making decisions about an employee based solely on age. It is illegal for a business to refuse to hire a person just because they are aged 40 or above. Also, it is an illegal practice to fire an older person and then hire a younger person to fill the same position. The Older Workers Benefit Protection act of 1990 added an amendment to the ADEA that prohibits business owners from denying benefits to its older employees. These two laws are in place specifically to protect older workers from being discriminated against based on age. The laws dealing with age discrimination in the workplace only apply to businesses who hire more than 20 employees. Independent contractors are not bound by these laws. However, to protect older workers, some states may have other types of discrimination laws in place. Or there may be some added protection against age discrimination under other state employment guidelines. Discriminatory practices that are prohibited by the law include hiring and firing as well as any types of transfers, promotions or layoffs. A person cannot receive more or less compensation based on age, nor can a business alter fringe benefits because of an employee’s age. But they also make it illegal to harass someone in regards to age. Businesses are offered some exemptions from these laws. For instance, a company may offer early retirement to older workers as long as it will not affect their benefits and as long as it is purely voluntary. An early retirement cannot be forced and it cannot reduce the worker’s benefits as their age increases. A few jobs in which an age restriction clause is allowed are exempt. These are typically jobs which deal with public safety such as fire or police workers. Some companies may carry this restriction for top level executives. And a company is allowed to use a seniority system. However, if utilizing a seniority system it must be based on years of employment not based solely on age. Businesses are encouraged to find solutions for the problems that arise from the impacts that age can have on employment. Younger and older workers are assured that they each have equal access to benefits and pay. Health care and pension cannot be manipulated to the advantage of the business just because a worker is aging. There must be fair treatment across the board.